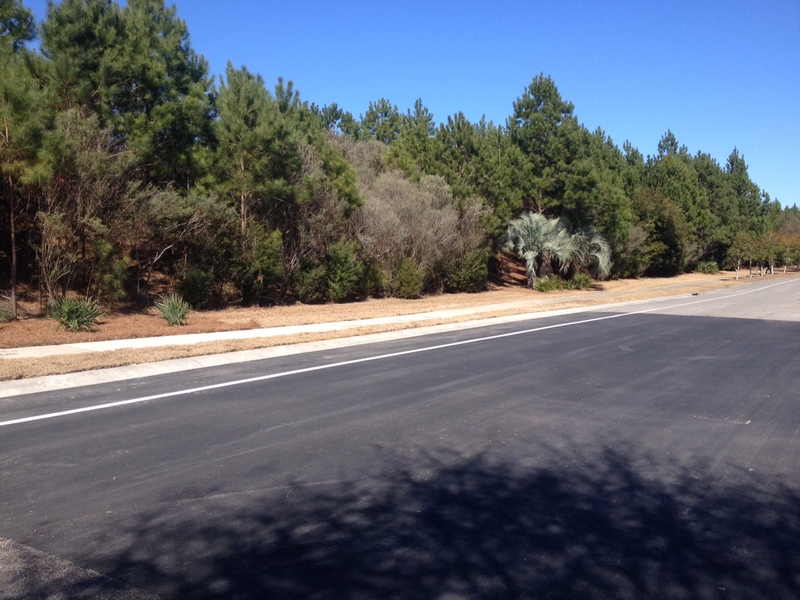 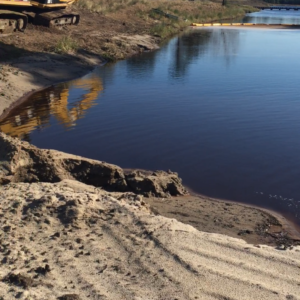 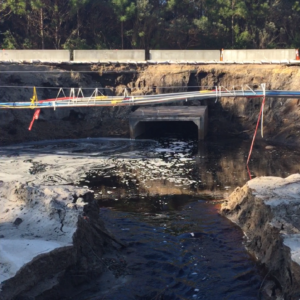 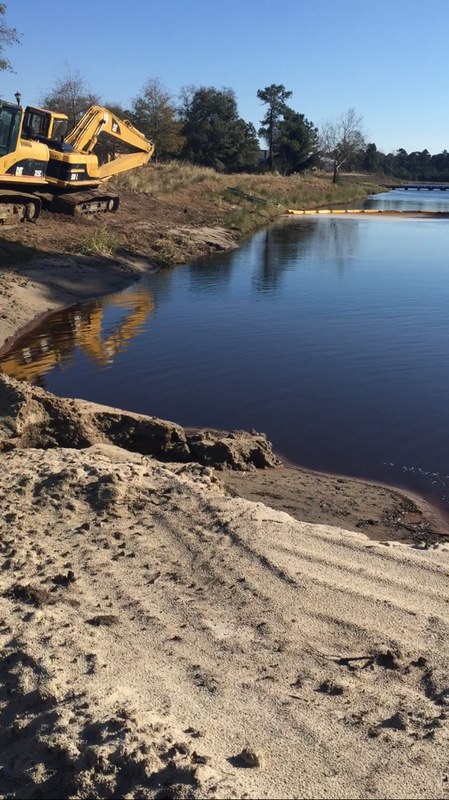 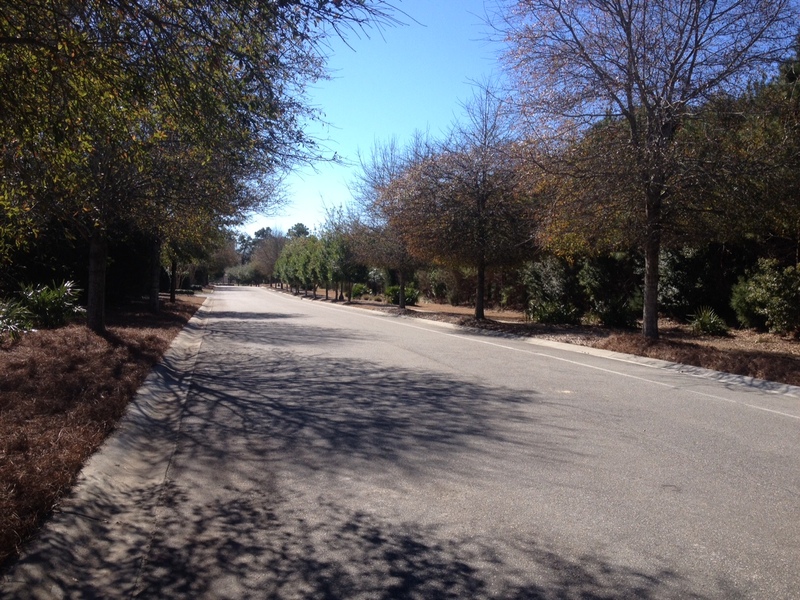 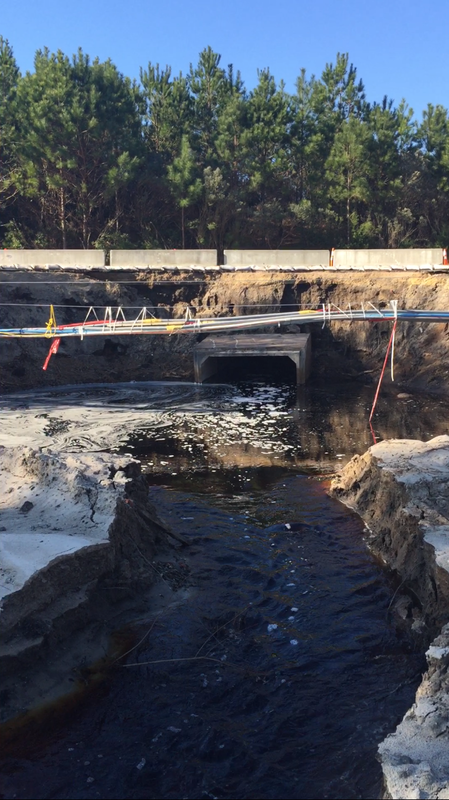 This February we completed a week-long washout project in the Grande Dunes development, where a road collapsed during an October flood. 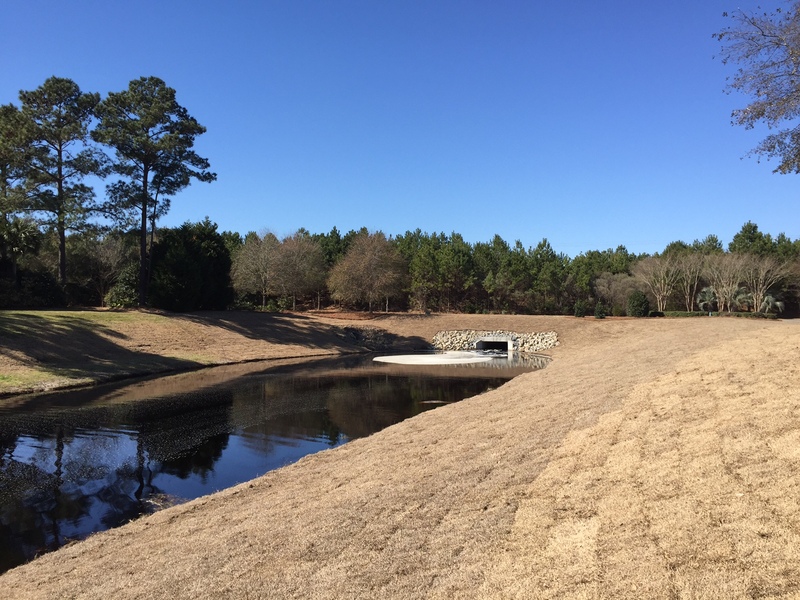 Our install crew installed an erosion control sock, to control water flow and trap sediment, around the entire washout area along with a geogrid fabric, a material used to reinforce soils, to help hold the steep slopes from eroding. 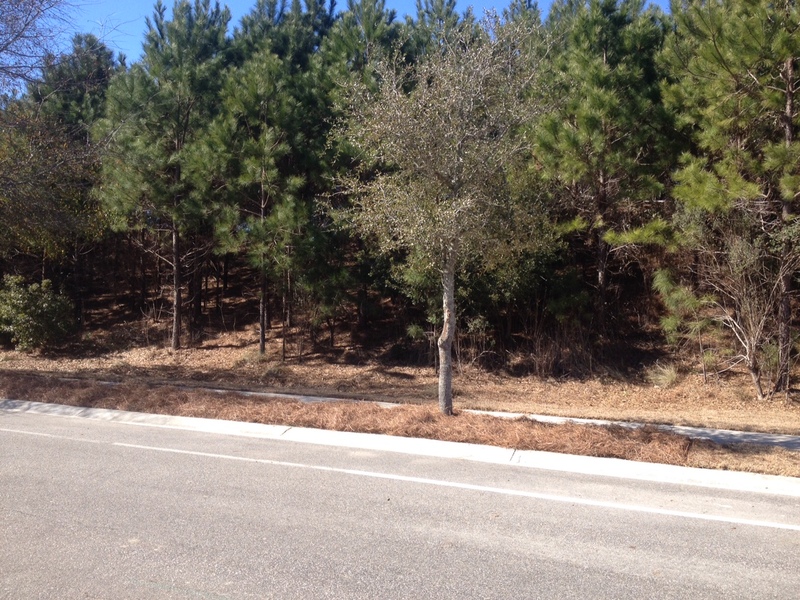 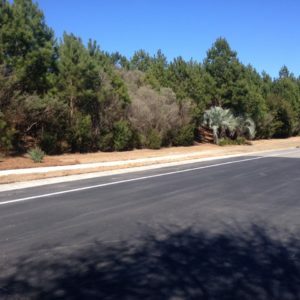 We also installed new plantings of Nellie R. Stevens Holly and Sabal Minor Palms, and transplanted a large Live Oak tree where one was originally washed away into the pond. 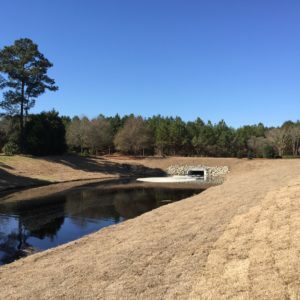 Finally, all irrigation was repaired at the wash out, and new irrigation was added to water the more than 40 pallets of centipede sod that was installed to the newly graded pond bank. 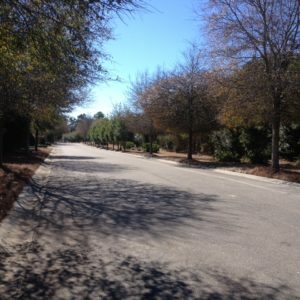 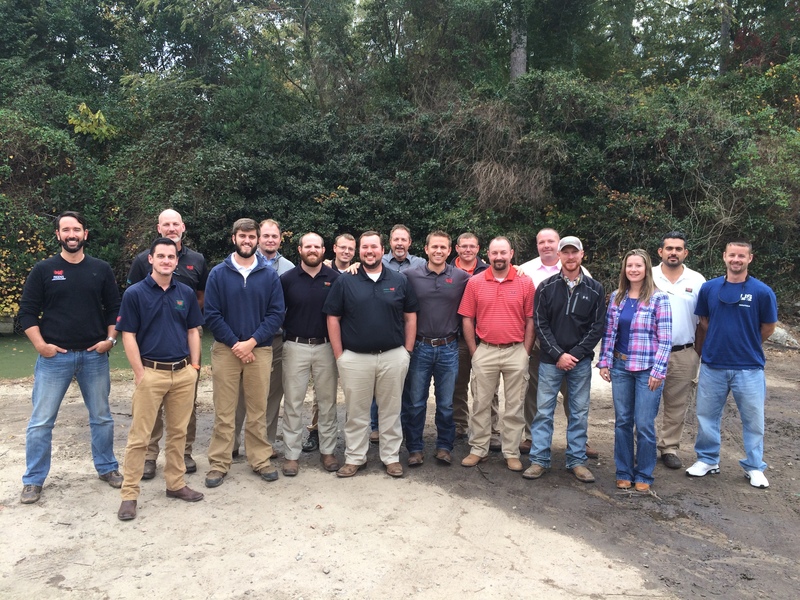 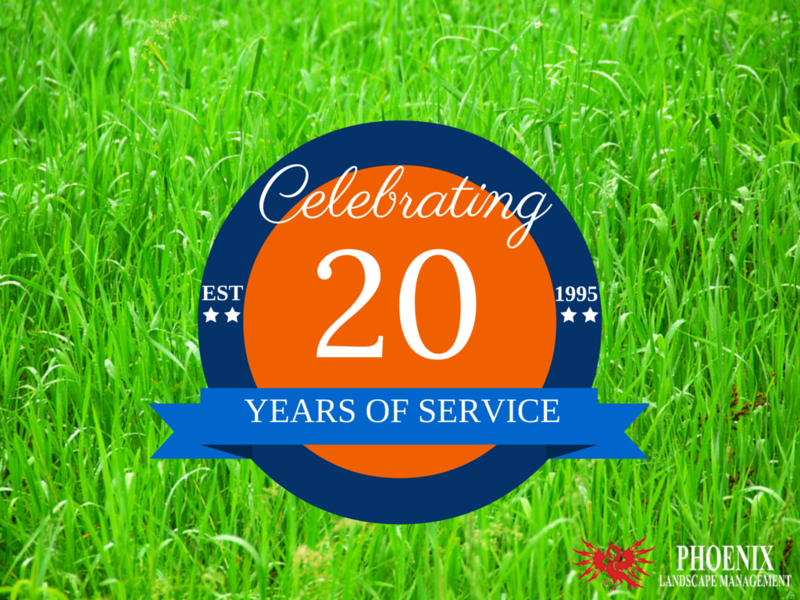 While we normally provide small enhancements at our customer’s properties, we also have the manpower and knowledge to take on more complex and large jobs as well. 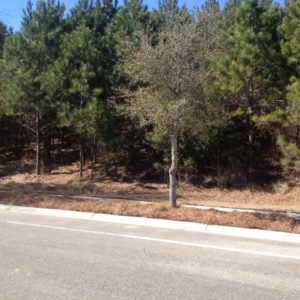 See below for the before and after photos of this project.